Welcome to Dai Tin International Transport Joint Stock Company, one of the Vietnamese leading companies which exports various types of Vietnamese people’s hair with foreign customers all over world with trade brand Sarahair. Dealing only with 100% Natural Human hair, especially from Vietnamese women having long hair without being processed or soaked in chemical substance, our products keep their softness and smooth and meet the demands of customers from some traditional markets comprising Brazil, Mexico, India, the USA and the EU. Understanding the importance of hair’s beauty to people, our company is trying to promote Vietnamese people’s beauty to the global as well as ensuring products’ quality for customers. We have professional staff to serve customers at any time and whenever you are! Try out and experience one of the highest quality hair company in Vietnam! 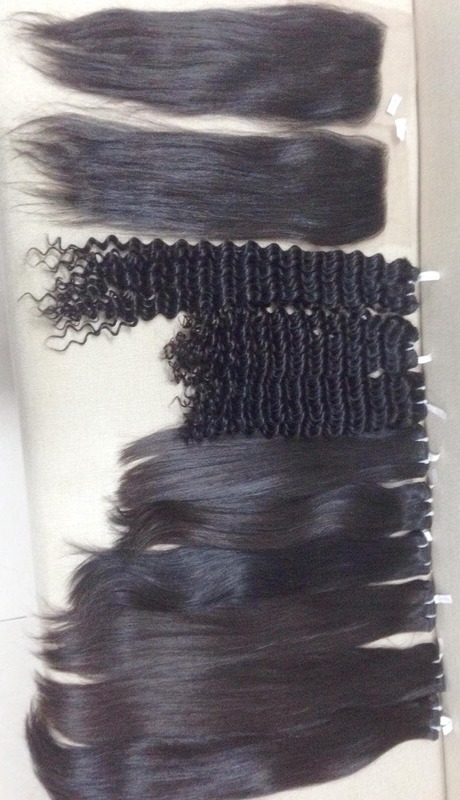 Various types for customers to choose: straight, curly, wavy, etc. with different levels of colors. Unprocessed, without nits, lice and insects. As a saying goes: “hair is a part of people”, Vietnamese women always create various methods to take care of their hair. Instead of utilizing chemicals to wash hair, they use natural materials including locust, fresh lime, coffee, etc. to keep their hair smooth, shiny and silky. Double weft straight hair is new hair cut off from a head without being processed and dyed or soaked in chemical substances. Being removed all kinds of nits and lice, oriented in the similar direction before being weft by machine with the latest advanced technology line, it is one of the most popular products of Sarahair Company in the global market. Double weft straight hair with length from 6 to 32 inches is available in stock with various colors, which is convenient for you to choose. The hair is suitable for wigs and hair extension. Targeting potential hair markets, we are engaged in manufacturing and exporting single bulk straight hair for extension. This product is highly demanded for cultural festivals in school and colleges all over the world. It is known for being 100% virgin human hair collected by individual from Vietnamese women without suffering from any dye. It is available in various patterns and colors to meet the distinct demands of our valued patrons especially for customers who request long hair, because it has no short hair inside.